Zombie Bowl-O-Rama download. Free download Zombie Bowl-O-Rama game. The Zombies have taken over your favorite lanes, and it's up to you to send ‘em back to the graveyard where they belong! Select a colorful character to take on the attacking Zombies with your favorite ball and a few tricks and treats in Zombie Bowl-O-Rama. 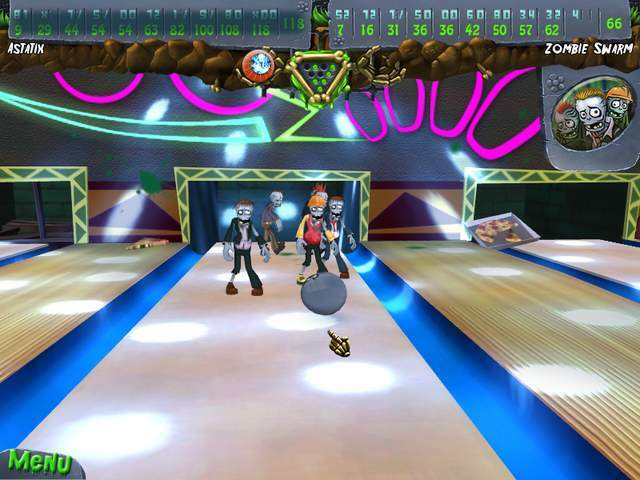 Give a whole new meaning to Zombie strike when you set ‘em up and take ‘em down with cool power ups and tricky obstacles in this exciting bowling game. 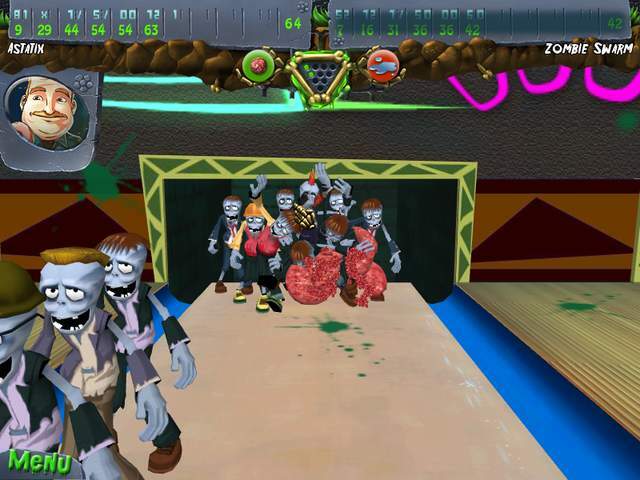 Zombies Bowl-O-Rama is a great bowling game from Elf Bowling game series. We recommend to try this fun game even if you never played bowling or even if you don't like regular bowling games! 6 screamy lanes to battle your way through to the big Showdown! We have no player reviews for Zombie Bowl-O-Rama yet.